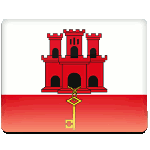 People of Gibraltar annually celebrate National Day on September 10. This first celebration took place in 1992 and a year later the holiday was given an official status. Celebration of National Day was introduced to mark the 25th anniversary of the Gibraltar's first sovereignty referendum of 1967. The voters were asked if they wanted to pass under Spanish sovereignty or remain under British sovereignty. As far as the present-day Gibraltar is the British overseas territory, the outcome of the referendum is clear. The first celebration of National Day was initiated by then Chief Minister Joe Bossano. The holiday was very successful among the people. The government supported a new tradition, thus the holiday was born. Official celebration of National Day begins with a childrens' fancy dress competition. It's followed by a street party, school choirs and solemn presentation of Gibraltar Medallion of Honor. After the end 30,000 red and white balloons are released from atop the Parliament building and people enjoy free music concerts, fairs and a firework party.